In my last post, I shared my November Accountability Update, including what came into my closet, what left, what I wore, and my clothing budget status. I had intended to include an update on my “wardrobe benchwarmer” project as well, but the post was already more than long enough! Instead, I opted to do my benchwarmer update separately, so that’s the topic of today’s post. This way I can also go into the level of detail and statistics that my “inner nerd” enjoys and which many of you appreciate. Win, win, I say! Not all “bench warmers” are as cute as these guys! I did my last benchwarmer update about two months ago, on October 9th. In that post, I not only shared the status of my 2012 wardrobe benchwarmers, but I also looked at my potential benchwarmers for 2013. While I was definitely happy with the progress I’d made in wearing, evaluating, and eliminating the majority of my 2012 benchwarmers, I was disheartened by the potential of having close to 100 benchwarmers for 2013. I committed to taking powerful steps to make sure I don’t end yet another year with a large number of garments that had rarely or never been worn. Today I’ll share the progress I’ve made since my “Wardrobe Benchwarmers Past and Future” post. To kick things off, let’s start with a recap of my benchwarmer status at the beginning of this year and in October. As a reminder, I have defined a wardrobe “benchwarmer” as any item that was not worn at all or worn only once during a given calendar year. I ended 2012 with close to half of my wardrobe items having earned benchwarmer status. A full 125 garments and 21 pairs of shoes were classified as wardrobe benchwarmers! I vowed to wear and evaluate all of my 2012 benchwarmers this year and either integrate them into my regular wardrobe rotation or pass them along via donation or consignment. As of the end of August of this year, I had consigned or donated roughly two-thirds of my 2012 benchwarmers and had worn and evaluated all but 17 of the remaining items. However, while I was focused on my benchwarmers from last year, I neglected to consider the items that could potentially earn the dubious status of 2013 wardrobe benchwarmers. 2012 benchwarmers that would also be 2013 benchwarmers if the year ended that day. Items that had not yet been worn during 2013 (and were not 2012 benchwarmers). Items that had only been worn once during 2013 (also not 2012 benchwarmers). Everything that had been worn at least twice this year. The photo below shows categories once through three. Category one is on the left before the blue hanger, category two is in between the blue and green hangers, and category three is to the right of the green hanger. These were my potential 2013 wardrobe “benchwarmers” as of October 9th. 25 of my 2012 benchwarmers were on track to earn that distinction again in 2013. 26 garments and 4 pairs of shoes had not yet been worn during 2013. 38 garments and 5 pairs of shoes had only been worn once so far this year. In all, I had 98 items (89 garments and 9 pairs of shoes) that would have been wardrobe benchwarmers had the year ended at the time I made the above calculations. While 98 benchwarmers is a lot better than 146 (my 2012 number), it’s still a very high number and not nearly the type of progress I had hoped to make with my wardrobe this year. Truth be told, I had continued to shop too much this year and was spending far too many of my days in lounge wear instead of “regular” clothes. I vowed to buy fewer new things, donate or consign the pieces I either didn’t love or wasn’t wearing much, get out more so I could wear more of my clothes, and start wearing more “regular” clothes around the house. As a result of all of these efforts, I’ve made some big progress in paring down my potential 2013 benchwarmers! These are my potential 2013 wardrobe “benchwarmers” as of today! Although a picture really does speak a thousand words, I feel compelled to share the numbers as well (of course, you knew those were coming!). Here are my potential benchwarmer numbers as of today, followed by the changes since my October 9th update. Please note that I have not included garments purchased during November and December in these calculations. Since October 9th, I purged 28 potential benchwarmer garments from my wardrobe. I also wore 35 potential benchwarmers and have decided to keep them in my regular wardrobe rotation. I will be evaluating my entire wardrobe again at the end of the year, so it’s possible that some of these garments will leave my closet, but they’re staying for now. My progress in regards to shoes has not been as good. Sadly, I’ve added two pairs of shoes to my closet (one in June and one in September) that have yet to be worn. At present, I have 9 pairs of shoes that are on track to be benchwarmers for this year, one of which also had that status last year. Three of these pairs are quite dressy, so that’s why they haven’t been worn, but I can’t say the same for the other pairs. Because I have such “fussy” feet, I find it harder to let go of shoes than clothes. However, I do plan to make informed decisions about all of these shoes before the end of the year, regardless of whether I end up wearing them this month. As of today, 119 garments in my closet have been worn at least twice this year. In addition, I have 28 pairs of shoes that I’ve worn two or more times over the course of 2013. Many of these garments and shoes have been worn far more often than just twice and some have been worn 30 times or even more! I may re-evaluate my standards for what constitutes a wardrobe “benchwarmer” next year, as I’d ideally like to be wearing all of the items in my closet a lot more often than twice within a given year. But for now, I’d like to acknowledge the wonderful progress I’ve made in paring down my wardrobe benchwarmers and wearing more of what I have. Here’s a before and after photo to drive the point home. The left side shows categories one through three of my closet on October 9th, and the right side is today’s view. I’m patting myself on the back for the big changes I’ve been able to make in just two short months. The year isn’t over yet, so my numbers will likely change before it’s all said and done. Of course, I’d love to be able to report that I have no wardrobe benchwarmers and I will get there and perhaps very soon. Why Any Benchwarmers Left At All? Dressier Clothes: Many of my benchwarmers are dressier garments and my life has become increasingly casual. While I have eliminated the majority of the dressy clothes in my closet, I am keeping a small capsule for those (at present rare) occasions when such items are called for. Shorter Summer Season: Where I live, warm weather usually continues through at least part of November, but this year our summer ended earlier. Consequently, I didn’t get a chance to wear some of my newer warm weather garments. I’ve vowed to purchase far fewer such items next year and instead focus on wearing and enjoying the summer garments I already have. Illness This Year: I experienced a lot of health issues this year which led to my spending more time at home and less time out and about. As a result, I didn’t wear my “regular” clothes as often as usual. Hopefully, I’ll be in better health next year and will be able to wear more of my clothes (as well as enjoy my life more)! Still Buying Too Much: Although I cut way down on my shopping this year, I still bought too much! I also continued to buy items for an imaginary or wished for lifestyle, particularly earlier in the year. As I buy less and work with a smaller wardrobe, the number of times I wear my wardrobe items will increase. I continue to learn more and more about myself and my wardrobe needs. Yes, I still make mistakes, but my shopping successes are starting to outnumber my faux pas at long last. The painstaking analysis I go through each and every month is making a big difference in terms of both my awareness and my actions, so I expect my mistakes to become fewer and farther between as time goes on. In early January, I will be doing a number of year end posts and will update you on my benchwarmer project status at that time. In the interim, I will be revisiting the “Dress with Less” microcourse from Courtney Carver (of Project 333 fame). This wonderful course will help me to further streamline my wardrobe and prepare for doing another stint of Project 333 in the New Year. Since my first stint of this minimalist wardrobe challenge produced so much growth and learning, I’ve decided to give it another go! I will share my selection process and Project 333 items in an upcoming post. I will continue to monitor wardrobe benchwarmers in 2014 and hopefully that will the final year when such an issue will even be relevant to my life. While I likely won’t finish 2013 with no benchwarmers in my closet, I fully intend to realize that goal in 2014. I do not yet have a manageable and minimalist wardrobe filled only with items I love and wear, but I’m headed in the right direction and will keep on keeping on until I get there! I love your honesty in all aspects, your number crunching, everything! You inspire me so much!!! I’d love to see a recap of purchases vs purges (or both) for this year! Thanks so much, Meli. I will definitely be doing updates on both purchases and purges in early January. I cringe to consider the numbers, but I’m committed to knowing and sharing the truth. At least the numbers are better than the past I don’t know how many years! I think the level of detail you put into working out why some of your pieces end up being wardrobe benchwarmers is great – I think it’s really important to look at WHY something happens rather than just feeling guilty about it, and you seem to be doing a great job of that. That way we can avoiding making the same mistakes in the future. And that top photo is so cute! That’s great that you’re going to do Project 333, too, Emma. I got so much out of it and hope to get even more the second time around. Your point about learning from mistakes rather than just feeling guilty is a very good one. I still have the guilt at times, but am trying to take the lesson and move forward as much as possible. 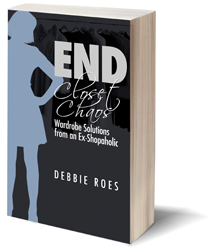 Debbie when the whole year of “benchwarmers” is assessed you have made such a huge change in your closet – and as you say there may be further success before year’s end. Thanks to you I have been working on thrifting my benchwarmers – most of which are duplicates – and I realise that I don’t need two (or ashamed to admit sometimes three) of tops that I like. The Project 333 has had a few hiccups because the weather in Sydney in Spring was see-sawing between hot and cold but the general idea of a limited wardrobe was very helpful in identifying some items that had to go. Good to hear from you, Megan! I’m glad that the concept of “benchwarmers” and Project 333 are helping you to pare down your wardrobe. Both have been very helpful to me, too, which is why I’m revisiting Project 333 in January. I’m sure it’s much harder to do with wardrobe fluctuations. I don’t think I will have that problem this time around, but there were some weather variations when I did the project last spring. I think many of us struggle with having “multiples” in our closets. It isn’t always a bad thing, as long as we wear all of them! You are moving right along, aren’t you? You are making wonderful progress, and that picture of those little benchwarmers brought a smile to my face. I had to make myself give up on loungewear with exception of an occasional Sunday afternoon, and found that I felt much better about myself when I went to the trouble of putting a little more effort into my appearance. But it sure felt like an effort in the beginning. Congrats on dressing better at home, Cornelia! It felt like an effort to me at first, but now I’m rather enjoying it. Of course, I’m still pretty dressed down, but at least I’m wearing “regular” clothes more often. Thanks for your kudos on my progress! Thank you Debbie. Your analysis is always fascinating and the photo of your wardrobe spoke volumes. It was interesting that you have realised that your summer is cooler and shorter than you believed, requiring fewer clothes. I really hope during your 3 month project 333 that you stop clothes shopping completely. I also hope that that you don’t react after the 3 months by over-shopping. It would be great if shopping could just become a rare necessity for us all. It only took me 11 years to “get it” about the weather where I live, Katy 🙂 Well, better late than never! I don’t know if I will do another “shopping fast,” as those tend to lead to “binges” afterwards for me. But what I do plan to do from now on is buy much less and shop far more mindfully. I would love shopping to be more of a rare necessity like you mention! 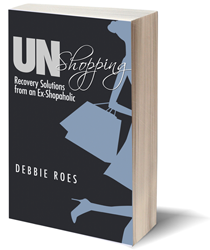 I think it’s wise to not go cold turkey for recovering shopaholics. It always backfires at some point like with any addiction. The fact that your awareness has grown so much about your buying habits and the reasons you buy is already a great success. The idea of ‘shopping as a rare necessity’ is yet another perfectionist idealism that will only lead you to go down the slope again if you fail to reach it. Accept what you are doing is working well and you are comfortable with the progress and gradually reaching your goals. Going to the other side of the spectrum isn’t exactly a good thing either. You make some excellent points, Wendy. I agree that we shouldn’t try to adhere to perfectionist ideals. While I would like to shop less and make better purchasing decisions, I don’t want to go to the other end of the spectrum, either. It’s a delicate balance and probably an ongoing journey that may never end, but I’m happy to be making progress. Thank you for acknowledging my growth and for reminding me that I don’t have to be perfect! I have recently started reading some of your posts. You may remember me from YouLookFab. I think I sent you a wrap dress a few years ago. Anyway, I am a fellow number cruncher and love to see the ‘deets’! When I’m off work living in FL, I suffer from the same I’m-at-home-why-get-dressed-in-my-good-stuff mentality. I only have one new purchase this year that remains unworn, which I will call a huge success. I tried to start this year with a 12 for 12 challenge but quickly realized it would end up closer to 2 items a month. I’m at 33 right now for the year of 2013, which beats the 57 from 2012. Progress, it’s all progress. I definitely remember you, Mo, and I WAS the one to whom you sent the wrap dress! I still read the YouLookFab forum from time to time and always love reading your posts. I enjoyed your one about “danger zones” recently and might do a blog post on that topic soon. Congrats on your wonderful success with shopping this year! Lots of wonderful progress! I haven’t counted my purchases as of yet, but will do a wrap-up post on that in early January. Next year, I will track things as I go along. I had come across this idea of wearing something at least *twice* in another blog some time ago and it was a real eyeopener for me. I think it’s a brilliant strategy because so often I would wear something once as if to prove that it was a useful part of my wardrobe. But it hardly is, it and all its companions, if it only gets worn the once “for the record.” I’d be wearing some things because I “hafta.” And exactly for the reason of keeping them as benchwarmers, eh! And then I discovered that I would be wearing newer acquisitions frequently and constantly, sometimes even days in a row if I really liked them. But since I was thrift shopping weekly, pretty soon I had a whole new set of new favorites and then what happened to the quite recent set of favorites? And on and on. So far, I haven’t gotten a new (or new to me) clothing item in over a month. I’m counting only wardrobe pieces and not accessories or shoes or needed underwear. I don’t find the auxiliary items cloud my judgment the way adding the basic outfit components does. I can’t say it’s done much in the way of tackling benchwarmers but it’s beginning to make a lot clearer what are my genuine favorites – and thus my individual style. Seems like you’re coming to similar conclusions as I have, Vildy. I didn’t realize that I was creating new “benchwarmers” all the time by shopping so darn much! Shopping less is helping me to have fewer rarely worn pieces and it’s also helping me to better understand what I love and wear. I am still buying too much, but it’s moving in the right direction. If you asked me a year ago if I understood my personal style, I would have said “yes,” but I would have been wrong! Now that I don’t shop as a hobby all the time, I’m finally starting to really figure it out, as it sounds like you are, too. You’ve done well so congrats. I doubt it is really possible to not own a single benchwarmer. I reckon you will always have a few things in the cupboard that qualify for benchwarmer status. The important thing is to have more clothes earning their keep and learning to shop better for those keepers and workhorses. It would be interesting to know what percentage of our wardrobes consists of benchwarmers? I would guess for some of us it is quite high which is absurd isn’t it? I think you’ve done really well. I doubt it is possible to totally eliminate benchwarmers but we obviously want less of them. It would be interesting to calculate what percentage of your wardrobe are benchwarmers. Thanks for your comment and praise, CS. Last year, about half of my wardrobe consisted of benchwarmers! I haven’t done the math yet for this year, but will definitely do so when the year is over. I know the percentage will be far more favorable! If you define “benchwarmers” as pieces that you don’t wear often–perhaps one should refine the definition? IMO, there are clothes that are true benchwarmers because you scorn them when you could be wearing them, and then there are clothes you don’t wear often, which serve a specific purpose nonetheless. For example, hiking boots. I only wear mine maybe 2 or 3 times a year, but those few times are important–in that I would be in a sorry way without them. So while they don’t get much playing time, they cannot truly be considered benchwarmers based on how often they are worn. I think a true benchwarmer is a garment that you don’t wear, don’t particularly like for reasons you may not want to admit to yourself, and don’t want to get rid of because you feel guilty for having it in the first place because maybe you paid a lot for it or somebody important gave it to you. In that case I would suggest just being honest about the whole thing and sending the unloved garment to a better place–be it friend, consignment, charity, etc. In my closet there are no longer any dressy clothes, not that there were that many to begin with–I don’t have a dressy lifestyle. No one dresses up to go anywhere anymore, and to do so makes you stick out like an anachronism. The last time I attended the ballet and the symphony, lots of people were in jeans. Everywhere I go now, where one would have been expected to step it up sartorially in the past, people are dressed in what amounts to loungewear or athletic gear. I admit I don’t like dressy clothes either. They hearken back to many uncomfortable days of childhood where I was dressed up like a confection by my grandmother: think stiff starchy crinolines, lace trimmed anklets, sparkling white gloves, and patent leather pumps–in her vain effort to turn me into a “lady” instead of a clumsy hoyden. Thankfully the hippies and Woodstock came along to loosen things up for me by the time I got to junior high! As an adult, I’ve avoided dressy clothes like the plague. I won’t wear a dressy frock unless it’s a sinuous and artfully draped knit that I can barely feel on my body–no more constricting architectural styles for me! When the goddess-look jersey maxi dresses became popular last year, I found my formula for dressing up at last! Embellishments of any kind are out too–I’ve had enough lace and embroidery from childhood to last me. I’ve always loathed wearing heels or constrictive, difficult-to-walk-in footgear, so for me the dream dress shoe is a barely-there flat metallic leather sandal. heh. Clothes like hiking boots can be on Special Teams. I used to like dressing up but haven’t in years. If I would try to figure out what the heck I would want to wear now (am not a dress down person) I don’t know but when I read your description of the simple, unadorned goddess dress and the barely there metallic sandals, I think it sounds like a dream. I”ll keep that picture in mind if I ever have to scare something up in order to go anywhere. Thanks! I always love your comments, Deby! Thank you for adding an important distinction to the benchwarmer discussion. Your hiking boots example was excellent and a very valid point. Someone emailed me and asked if I had (or would) explain why I’ve decided to keep some of my benchwarmers. I will definitely do so in my 2013 wrap-up post on the project once I decide what is staying and what should go. I know that some of what I will keep are items that come in very handy but which I don’t have the occasion to wear all that often. I have a few garments and a few pairs of shoes that fit into that category. Also, since my life has be so much in flux this year, I am not totally sure what my life will look like in 2014, so I may have some of those hiking boot type occasions to deal with. I won’t hold on to “maybe” pieces forever, but I may keep them for at least another 6 months or year to see how much life settles out. Deborah (Deby), I like your definition of a true bench warmer. You summed it up well for me and I instantly thought of one particular guilt-inducing garment I own still! I loved Deby’s definition, too! I always learn a lot from the comments of my readers and Deby has contributed a lot of valuable insights for many months now. Perhaps I will tease out how many of my remaining sideline garments are true benchwarmers… Here’s to no more guilt about our clothes! I read an interesting post about FOMO – fear of missing out – about hoarding multiples of clothing items that fit, look good, etc. and ending up with a bloated out-of-date closet. It rang a bell with me – LOL! I read that post, too, Chris. I love “Wardrobe Oxygen” and it’s one of the few fashion/style blogs I still read because I love Alison’s honesty and insights. I definitely struggle with “FOMO” in terms of my wardrobe. I would always think that if one (fill in the blanks) was good, four or five would be better. But then the multiples would often become “benchwarmers.” Now I’m trying to pull in the reins a bit, but the FOMO is still there, nudging me to buy more. At least I don’t listen to it as often these days! FOMO could also mean “fear of moving on” as being stuck in a style and repeating the formula ad nauseam for decades. A few weeks ago I was in a public place and saw a woman in a professional capacity, whose had never deviated stylistically for 30+ years, and I believe her clothing was of that era too. Her clothing had been well maintained, but still…such longterm devotion to a specific look made me assume she was a very rigid thinker, without even so much as speaking with her. Good alternate definition for FOMO, Deby. I see people like that quite a bit, too. There has to be a middle ground between being afraid of missing out on all that’s new and exciting and clinging to what’s old and familiar for dear life. 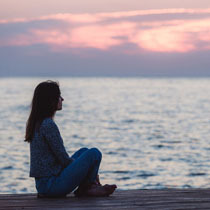 I think this other version of FOMO is particularly prevalent as women get older, but they don’t realize that just because something once worked, it won’t work forever and ever more! Interesting to see definitions of “benchwarmer.” I like Deborah’s definition. For me, it is something MEDIOCRE that does not get worn because I don’t really like it in all honesty but is still sitting there because it is too “good” to throw out. And feeling guilty because I bought the item for the wrong reasons in the first place. Still learning!!! Many “benchwarmers” fit your description, CS. I know guilt comes into play quite a bit when dealing with benchwarmers. When I finally let myself get rid of such guilt-driven benchwarmers, the guilt soon dissipates and is replaced by relief and later peace. I’m still learning, too, but we’re going for progress, not perfection! At the present moment I have 2 benchwarmer tops that coordinate with two very different skirts. The common thread among these garments is a particular eggplant-port color that is very hard to get just right. There is nothing wrong with either top from a fit standpoint–they both look good on me. They both work with the skirts, creating very diffrerent looks. From a logical standpoint there is no reason why either of them should be benchwarmers. But they are anyway. Why? Having examined all reasons I believe they are benchwarmers because they look/feel outdated, even though the coordinating skirts do not look outdated. One top is just a few years old, but it’s of a knit fabric and style that now looks dated (to me) compared to knits of today. The other top is a very classic wool JNY crew neck sweater which does not literally look outdated– but I FEEL it should be outdated because I have had it for, yes…23 years. On the fence, I am reluctant to release them because it will involve the difficult process of finding updated replacements to coordinate with the skirts. I can identify with your dilemma, Deby, as I’ve been there myself more than a few times. I generally do keep the benchwarmer items until I can find a suitable replacement; that is, IF I’m actually wearing them. When I buy new pieces, I aim to have them work with at least 3 other items in my closet. That’s sometimes easier said than done, especially for those of us who like color and pattern. I’m impressed that you’ve had the one sweater for 23 years! You are a testament to the power of caring well for our clothing! I have a cashmere dress I bought in 1978-I still wear it-it is a Pringle and very classic, not a single pill and updates beautifully. Not only is it not a benchwarmer I have every intention of keeping it always. I do not feel it will ever be outdated. You have made fantastic progress on purging your benchwarmers! I had to chuckle, in the last photo, is that colorblock/striped pullover by Gap? If so I have the exact same one, and it is also on ‘hold’ in my closet. It is warm, machine washable, and soft, yet I find it difficult to style. And I also haven’t been able to purge it yet. I also am striving to eventually have no more benchwarmer items. Unworn clothing is wasted money, as clothes are meant to be worn. I tell myself this often when I am doing a closet purge, it helps take away some of the sting of “but I spent good money on this item.” It is still not easy for me to purge, but realizing the money is already gone, helps a little.